Naturally curly, coily, and wavy hair is like a delicate flower that is both beautiful and needs loving attention. As the weather has become cooler, many are realizing the importance of moisture retention by combatting the dry heat from indoors and the arctic blasts from outdoors. It is definitely a challenge when you add wearing cotton and wool that whisk away the moisture in our hair on contact. During this time of the year many use cleansing conditioners to stave off the harsh results of some shampoos. Co-washing or conditioner washing is cleansing the hair with a botanical conditioner that tends to be gentler on textured hair. Many curlies following the Curly Girl Method (CG method) by Lorraine Massey use this method and have found it to be quite effective at reducing frizz and retaining moisture. I am not here to give shampoos a bad name, as cleansing is a necessary component of a healthy hair regimen. Shampoos are used for cleansing our hair but many have harsh surfactants like sodium laurel sulfate or a blend of several surfactants and they tend to rob the moisture from our tresses. I personally only use cleansing conditioners year-round with a couple of exceptions for coloring my hair and a clarifying shampoo whenever necessary. There are many others who do the same but even if you do not this is a great time to see how your hair responds to them now that the weather is requiring we take extra care to keep our moisture intact. If you are considering it then we have a list of the top ten that are sure to please. One of the 2013 Best of the Best 2013 and my personal favorite, this cleansing conditioner is made with water, coconut, tangerine,fatty alcohol, cetrimonium chloride (emulsifier), and castor oil. This cleansing conditioner spreads easily, gently removes product buildup, and makes detangling a breeze. Great for color-treated hair and will retain your hair’s precious moisture. A universal cleanser made with water, aloe vera gel, glycerin, chamomile extract, cherry bark extract, and calendula extract. Cleanse your hair and scalp while moisturizing, strengthening, nourishing, and adding sheen. This conditioning cleanser removes the need for shampoo without sacrificing the beauty of healthy hair. 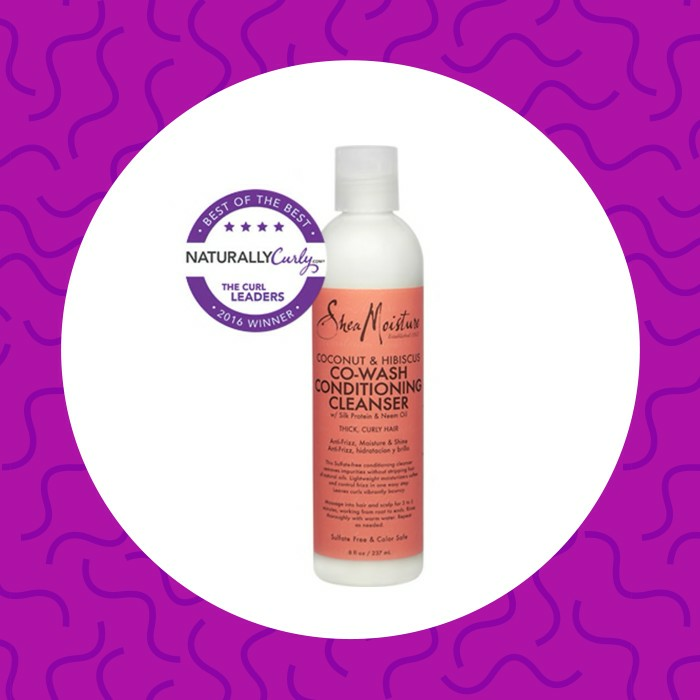 A highly favored hair care line came out with their own sulfate-free conditioning cleanser that has water, coconut oil, shea butter, mango seed butter, olive fruit oil, and wheat germ oil. You will be able to remove all the impurities without stripping the hair of its necessary natural oils, reduce frizz, and leave your hair bouncy and light. Here is a sulfate-free cleanser with water, fatty alcohol, and behentrimonium chloride (conditioning agent) as the first ingredients. Your curls will be gently cleansed while the moisture is preserved with a low-lathering crème cleanser that reduces friction and boost softness. Formulated to nourish curls, not strip their moisture. This creamy no-lather co-wash infuses drier curls with natural oils and essential fatty acids to help strengthen strands while you cleanse. Formulated with a blend of lightweight oils including Coconut Oil to deeply hydrate, Abyssinian Oil for manageability and strength, Rosemary Oil to stimulate scalp circulation, and Sage Oil to remove scalp impurities, it's perfect for luxe conditioning and hydration. Water, aloe vera leaf juice, fatty alcohol, shea butter, and coconut oil create this sulfate-free, no suds gentle cleanser. Remove residue and buildup for a healthier hair environment. Here is a conditioner that penetrates the hair shaft to improve hair’s strength, flexibility, and hydration. This creamy cleansing conditioner starts off with water, fatty alcohols, behentrimonium methosulfate (mild hair detangler), and cetrimonium chloride (emulsifying or conditioning agents). This conditioner is gentle yet effective for cleansing your hair and scalp while adding lightweight conditioning. Your hair’s natural oils are retained and boosted. Water, fatty alcohols, stearamidopropyl dimethylamine (replacement for silicones and adds slip), rosemary leaf extract, and peppermint oil make up this cleanser that will renew your senses with an herbal mint fusion. It is a low-lathering conditioner that brings nourishment and smoothness while gently cleaning and giving you touchable soft hair. Water, fatty alcohol, glycerin, and agave tequilana stem extract come together to make a sulfate-free gentle cleanser to wash away the impurities without giving you a tangled mess of curls and coils. Fight frizz and tangles with this incredible moisturizing cleansing conditioner. With water, coconut oil, shea butter, mango seed butter, cetyl esters (lubricant), and kaolin clay, you get a potent co-wash from the 2014 Editor’s Choice list. A moisturizing, sulfate-free powerhouse that removes impurities without stripping those precious natural oils our tresses need to stay healthy. Your hair gets protected from breakage while becoming stronger and hydrated.